Red Fife is a heritage landrace wheat, meaning there is genetic variability in the wheat that allows it to adapt to a diversity of growing conditions. David Fife developed the variety in 1842 and by the 1860s Red Fife was distributed and growing across Canada, adapting to a broad diversity of growing conditions. Renowned as a fine milling and baking wheat it set Canadian wheat standards for over forty years. 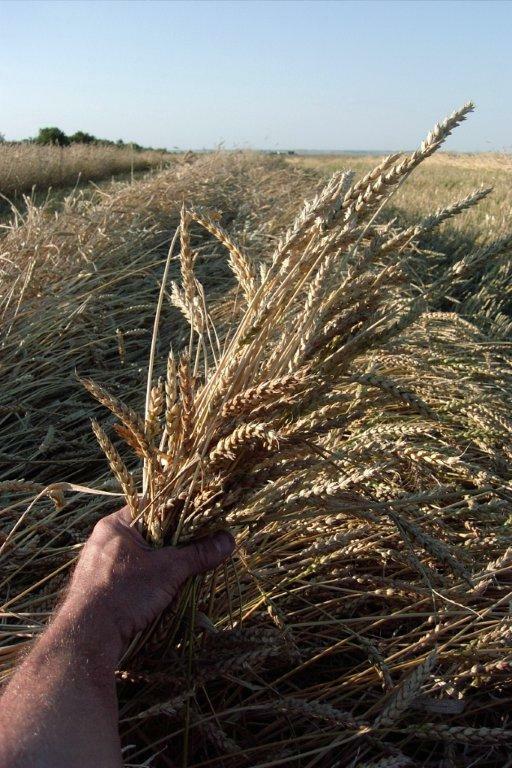 Red Fife was gradually replaced with other wheat varieties, many of them hybridized with Red Fife for reasons of better disease resistance, improved yields and shorter growing season. However, growers were hybridizing for increased yields primarily and not taste. Red Fife is renowned for its exceptionally nutty and robust flavour. In the context of contemporary export-focused agricultural markets, the older landrace wheats like Red Fife, with their natural variability, were considered of lesser “value,” and were even sometimes illegal to sell through the main regulatory channels. Indeed, even today the Canadian Wheat Board does not officially recognize Red Fife as fit for human consumption and growers have to sell it as “feed wheat” to bakers and chefs. Red Fife is a real heritage seed success story. From the early 1900s until 1988, Red Fife seed survived only in a few plant breeder collections, and Agriculture Canada’s seed bank. In 1988, Sharon Rempel, obtained one pound of Red Fife from Agriculture Canada and planted half a pound of the seed. From those very small beginnings, Sharon’s dedication and passion, growers like Marc Loiselle, and support from Slow Food, over 500 tons (1,000,000 pounds) of Red Fife was harvested in Canada in 2007. Today Red Fife is again being grown from coast to coast. The Red Fife Presidium is Canada’s first and currently only Presidium. It was created to re-introduce Red Rife by introducing it to artisan bakeries. The Red Fife Presidium has supported the efforts of farmers who grow the wheat and has succeeded in increasing the amount of seed to such an extent that it can now be marketed. The bread promoted by the Presidium is kneaded and shaped by hand and baked in a stone oven. It has a yellow outer crust and smells of wheat and herbs. It has a strong, slightly acidic taste, with hints of spices, aniseed and fennel. To promote the high quality and excellent taste of artisan bread made from Red Fife flour, the presidium organized an Artisan Bread Tour, which visited six Canadian towns.